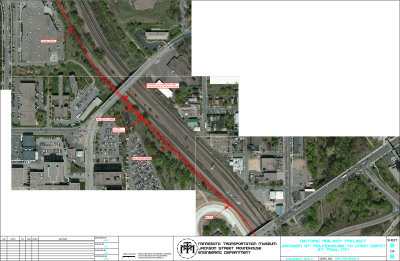 The St. Paul Historic Railroad would be a new rail line connecting the Jackson Street Roundhouse (home of the Minnesota Transportation Museum) to St Paul Union Depot with the option to extend to the Science Museum of Minnesota in the future. 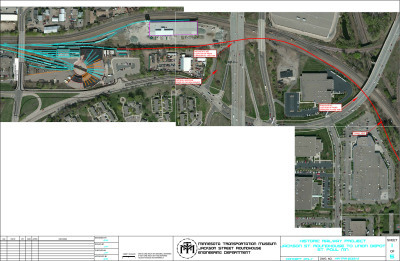 Offering regular service, it would offer the public a chance to travel by train between all of these locations, uniting two ends of downtown as well as the roundhouse. 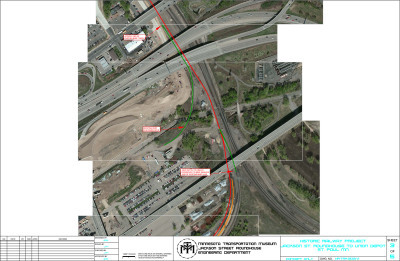 Jackson Street Roundhouse to Phalen Blvd. Lafayette Rd. 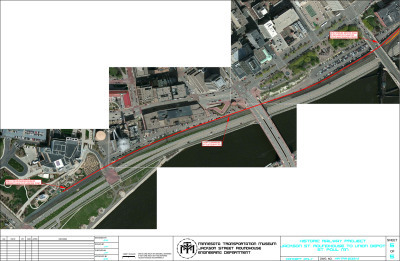 to 7th St.
7th St. to Kellogg Blvd. 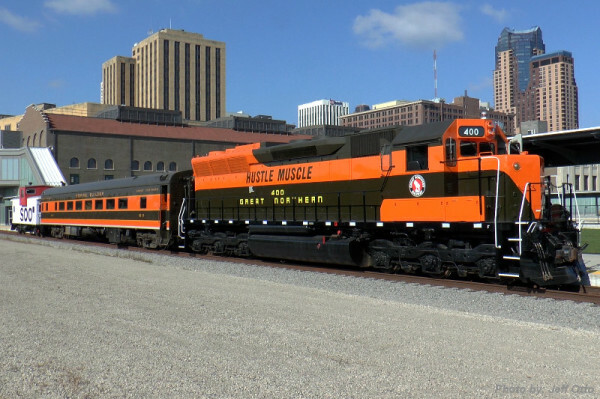 Trains would consist of restored historic locomotives and passenger cars from the Minnesota Transportation Museum (MTM) fleet of railroad equipment. Currently there are seven locomotives and nine passenger cars of various configurations in service from coaches to first class cars. Regular trains would primarily consist of 1950's era coaches that ran on the Empire Builder (which stopped at St Paul Union Depot). Special event trains could add on cars for first class service, dining options, even cabooses. In short, the train configurations can be custom tailored for any event. Crews would be from the pool of professionally trained conductors and engineers at MTM. With over 40 years in the historic railway operations industry the museum is well equipped to operate trains on the new St Paul Historic Railroad. The Jackson St Roundhouse is not only one of the destinations of the line, it is also a fully functional railroad maintenance shop. There locomotives and railcars are serviced, maintained, and restored by a highly talented crew. The trains would be serviced and maintained at this facility. 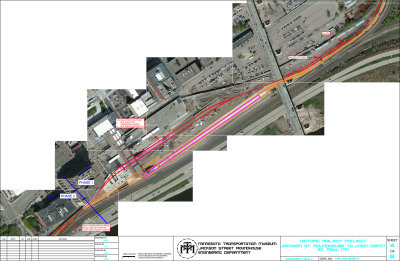 Track maintenance would also be based out of Jackson Street Roundhouse. There is currently a full track maintenance and construction crew based at Jackson Street to service the museum's existing track infrastructure. The same crew would maintain the track for the railroad as well.